The great thing about the Road to the Kentucky Derby 2014 is that it gives us a better framework to understand who the contenders are. It’s early in the season as we go to press, but we have other ways to single out the horses that just might have the right stuff to win the 2014 Kentucky Derby. 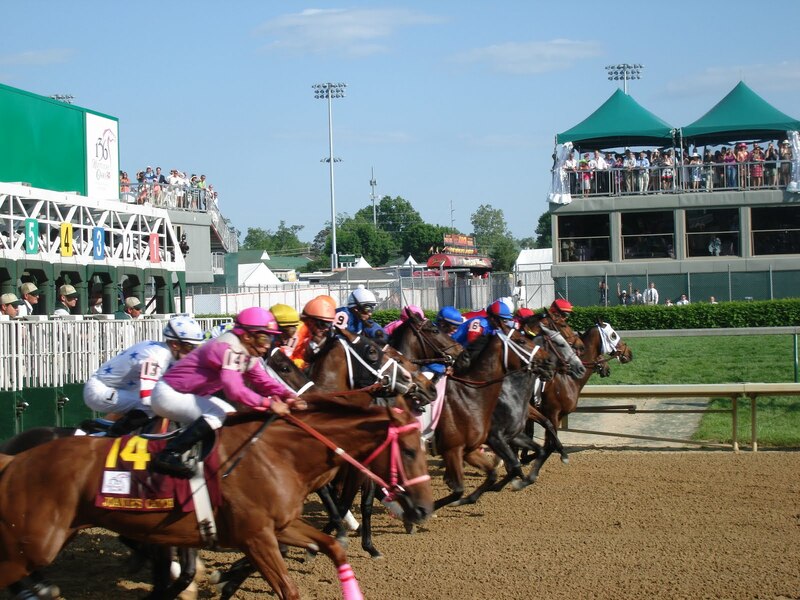 Let’s introduce you to the top 10 Kentucky Derby contenders as of February 14, 2014. Bred in Kentucky, Havana is from the first crop of Dunkirk, a son of Unbridled’s Song. Missy Turtle, Havana’s dam, was sired by Kyle’s Our Man. Dunkirk made five career starts before retiring to stud, finishing second in the Belmont Stakes and Florida Derby in 2009. His only unplaced effort was in the Kentucky Derby, where he finished 11th. Havana’s trainer is Todd Pletcher, who won the Kentucky Derby with Super Saver in 2010. His owners are long-time racehorse owner Michael Tabor, John Magnier and Derrick Smith, and his current jockey is Hall of Famer Gary Stevens who won the 2013 Preakness Stakes. Cairo Prince comes from a male line rich in Kentucky Derby success. His great-grandsire Unbridled won the Derby in 1990s and his grandsire Empire Maker and sire Pioneerof the Nile were each runner-up in the Derby (in 2003 and 2009 respectively). Owned by Namcook Stables, Paul Braverman, Harvey Clark and Craig Robertson III, this colt entered the Kentucky Derby contenders list early, after placing first at Gulfstream Park on January 25. Cairo Prince’s trainer is Kiaran McLaughlin and jockey is Luis Saez from Panama. Honor Code came out as an early Kentucky Derby betting favorite, taking the coveted number one spot on the Louisville Courier-Journal contenders’ poll. Owned by Lane’s End Racing and breeder Dell Ridge Farm, this horse has strong pedigree (AP Indy and mare Serena’s Cat). The colt’s trainer, Hall of Famer Shug McGaughey won last year’s Kentucky Derby with Orb so will be looking for a back-to-back win this year. Honor Code has recently been ridden by jockey Javier Castellano. Tapiture comes from Tapit (a descendant of Triple Crown winner Seattle Slew) and mare Free Spin. The talented colt is considered a top contender for the Kentucky Derby 2014, which falls on his birthday. Ridden by jockey Ricardo Santana Jr, Tapiture had his maiden win in November at Churchill Downs and has impressed since. Trainer Steven Asmussen has said this horse is “extremely talented”. His owners are Ron Winchell and the Winchell Thoroughbreds LLC breeding company, who have a successful history but haven’t secured a Kentucky Derby win. This could change come May 2014 if all goes to plan. This is another of the 2014 Kentucky Derby contenders with strong pedigree. A fairly new addition to the top contenders’ list, the colt is a son of two-time Breeders’ Cup champ Midnight Lute and his mare is grade 1-placed Miss Wineshine. Midnight Hawk is owned by a unique group – Chicago Blackhawks coach Joel Quenneville, former Minnesota Vikings coach Mike Tice, as well as John Sikura’s Hill ‘n’ Dale Equine Holdings, Mike Kitchen and Mike Pegram. Hall of Fame trainer Bob Baffert hasn’t had a Derby win since 2002, but for those looking to bet on the Kentucky Derby, take note that this year Midnight Hawk and jockey Mike Smith might turn it around for him. Bond Holder comes from Mineshaft (2003 Horse of the Year), who is a son of Hall of Famer AP Indy and Broodmare of the Year Prospectors Delite. His mare was Cielo Girl, a four-time stakes scorer whose three foals are all winners. Bond Holder’s trainer Doug O’Neill has a successful past including saddling I’ll Have Another, who beat the Kentucky Derby odds and won the 138th edition at Churchill Downs. He’s owned by Reddam Racing LLC (who also owned Derby champ I’ll Have Another) and his jockey is Mario Gutierrez. A strong horse, Bond Holder has racked up enough points to easily place him in the top 10 in this year’s Road to the Kentucky Derby. Owned by Paul and Andrena Van Doren (who founded Vans Shoes), Rise Up is by Rockport Harbor, a successful horse whose injuries prevented him from taking out the Kentucky Derby. His mare is Appenzell, a winning horse whose first foal won four of 16 starts. Rise Up’s trainer Tom Amoss is one to watch, having won more than 2,500 races in his career, and jockey Gerard Melancon is ready to impress. Rise Up has performed strongly in the Road to the Kentucky Derby, including a six-length victory at the $1 Million Delta Downs Jackpot. Kentucky Derby 2014 contender We Miss Artie is trained by Todd Pletcher, who won the 2010 Kentucky Derby with Super Saver. Owners Ken and Sarah Ramsey have won many owners titles and had stakes in plenty of winning horses. Ridden by experienced jockey Joel Castellano, this colt is from Artie Schiller, who won the Breeders’ Cup Mile in 2005 among other accolades such as a record-setting race at the 2004 Jamaica Handicap at Belmont Park. We Miss Artie is the second foal out of Athena’s Gift (a daughter of 2000 Kentucky Derby winner). Those who want to bet on the Kentucky Derby should consider Candy Boy, who comes from undefeated Candy Ride, a highly successful and speedy miler. He’s out of She’s an Eleven, who comes from In Excess, a miler with strengths similar to Candy Ride. Despite not having the strongest pedigree for 1 1/4 mile races like the Kentucky Derby 2014, Candy Boy has emerged as one of the top Kentucky Derby contenders. Trainer John Sadler has had horses in the Run for the Roses before but has yet to clinch a victory. Candy Boy’s owner company is C R K Stable LLC, owned by Lee and Susan Searing who have had a long-time interest in horse racing. His jockey is Gary Stevens. Samraat is owned by Leonard Riggio (through My Meadowview Farm), who also owns the world’s largest bookseller Barnes & Noble Inc. This colt is by Noble Causeway (the son of European champion Giant’s Causeway) and out of Little Indian Girl by Indian Charlie. His trainer is Rick Violette Jr, who’s been in the horse business since the 1980s and his regular jockey is Jose Ortiz, North America’s 10th most successful jockey in 2013 with 224 victories. Those betting on the Kentucky Derby should keep in mind that, thus far, Samraat has put in impressive performances including taking out the $250,000 Withers Stakes at Aqueduct.